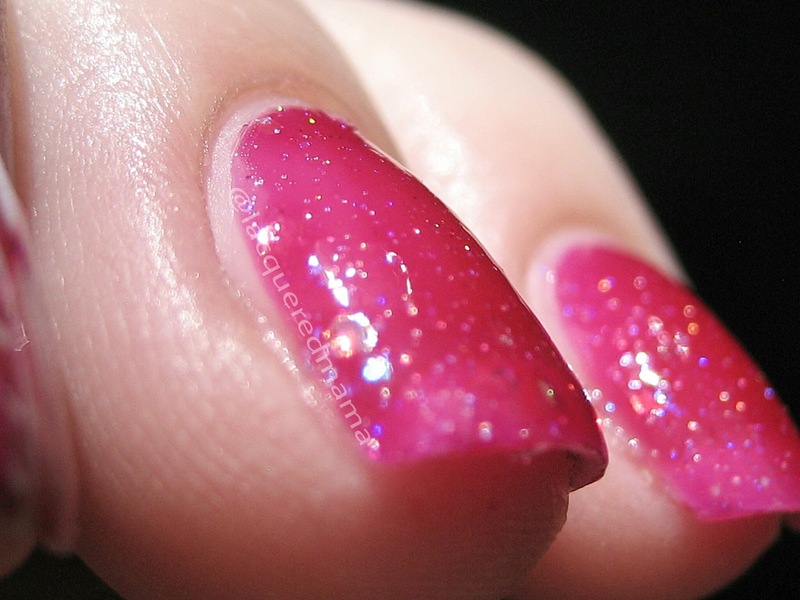 Today I have 4 beautiful polishes for you to drool over. 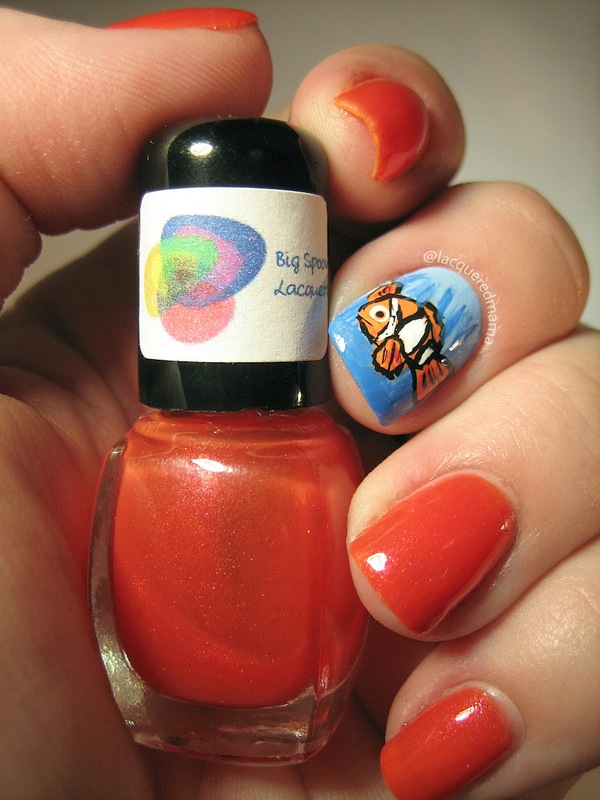 These were sent to me by Pauline of Big Spoon Lacquers. 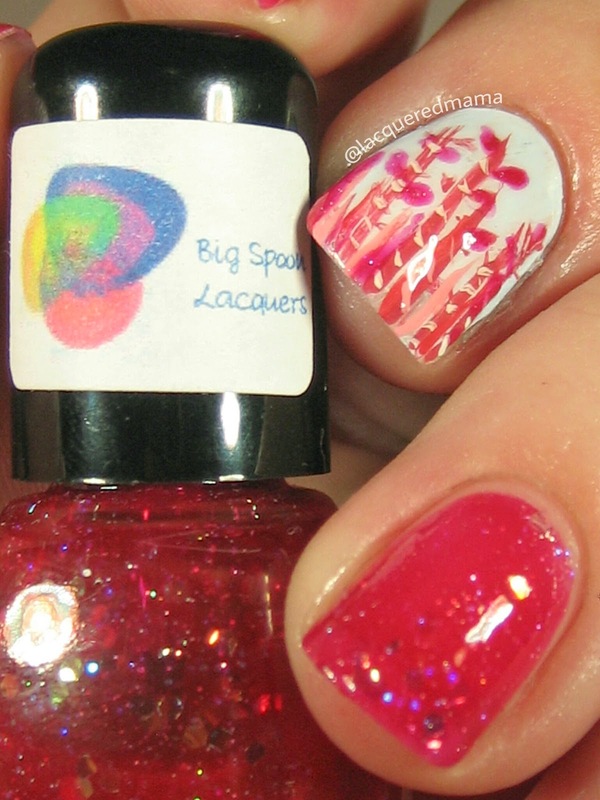 Big Spoon Lacquers is an indie polish brand, featuring small hand mixed batches of 3-free polish goodness and is located in the USA. First up is Enthrall! Enthrall is from The Art of Seduction collection. All of the colors in this collection start out with a black base that allow for dimension and depth. 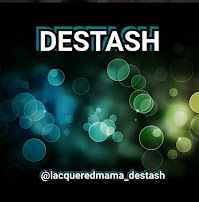 I am a little bit in love with it! Though it has the black base, it appears more blue/purple with subtle hints of pink, blue and purple flecks throughout. For my application I did 3 coats plus topcoat, though it is opaque in just 2. Application was smooth and the formula was great. 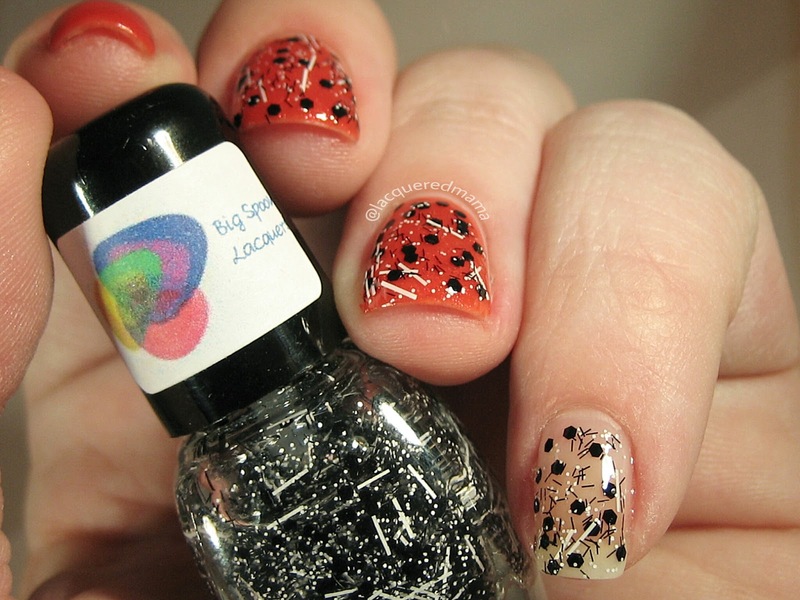 I adore this polish, as it has those color shifting properties I love. The color shift was very hard to capture, but as you can see it shifts from a deep blue to a deep purple, while showing all the pretty sparkly flecks. I cant say enough how much I liked this one!This is available in her shop now! The remaining 3 polishes are from the upcoming Childhood Wonderment Collection. This collection is inspired by animated children's movies and the life lessons they attempt to teach! 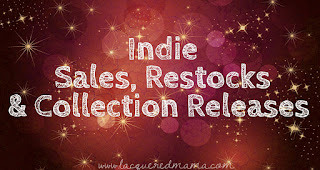 The collection will be released on April 1st! First up from the new collection is Dynamite Girl, inspired by the movie Wreck It Ralph. 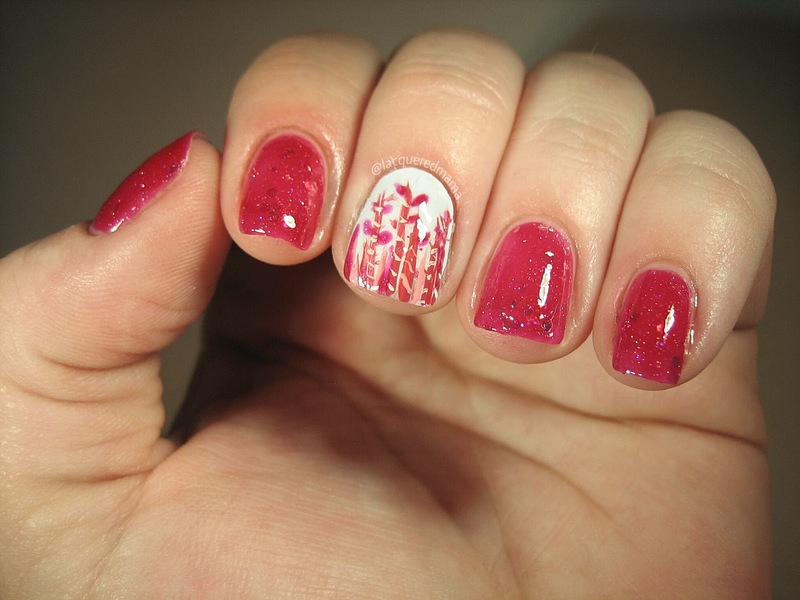 This polish says Vanellope Von Schweetz and the candy forest all the way! 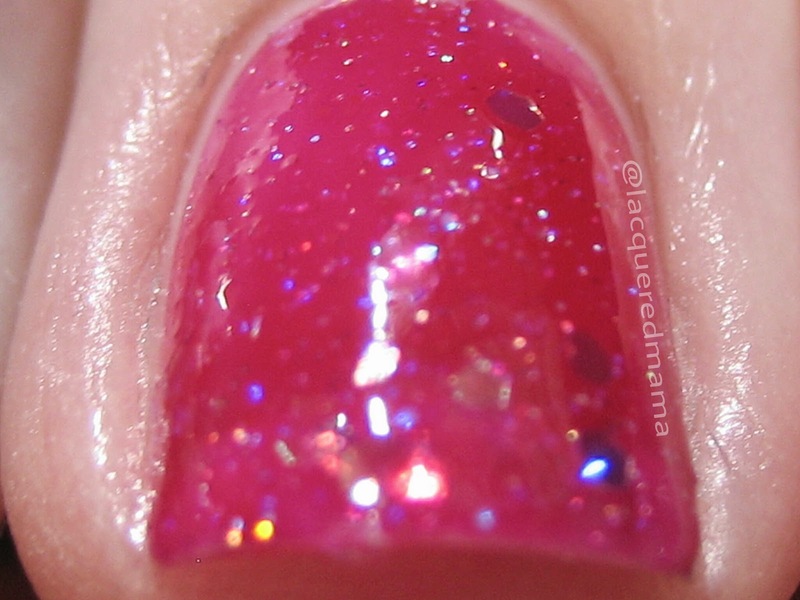 It a gorgeous mix between a burgundy and magenta with beautiful holo microglitter and larger hexagon glitters. 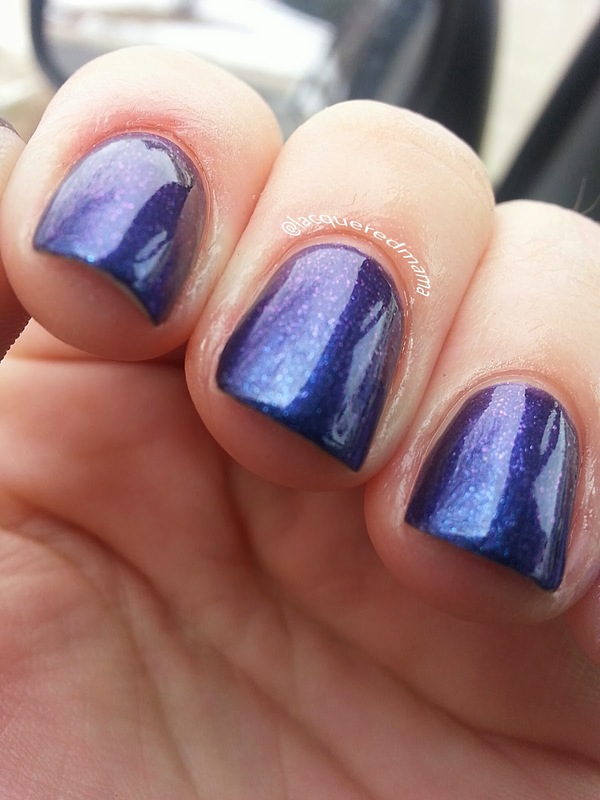 Its formula leans a little on the jelly side, but with deep pigments. It could be opaque in 2 even coats, but I did 3 for good measure. Surprisingly, with as jelly like as it was, it dried fairly quickly. As with most glittery polishes, it was slightly textured once dry, but a quick coat of top coat did the trick to smooth it out and add extra shine. 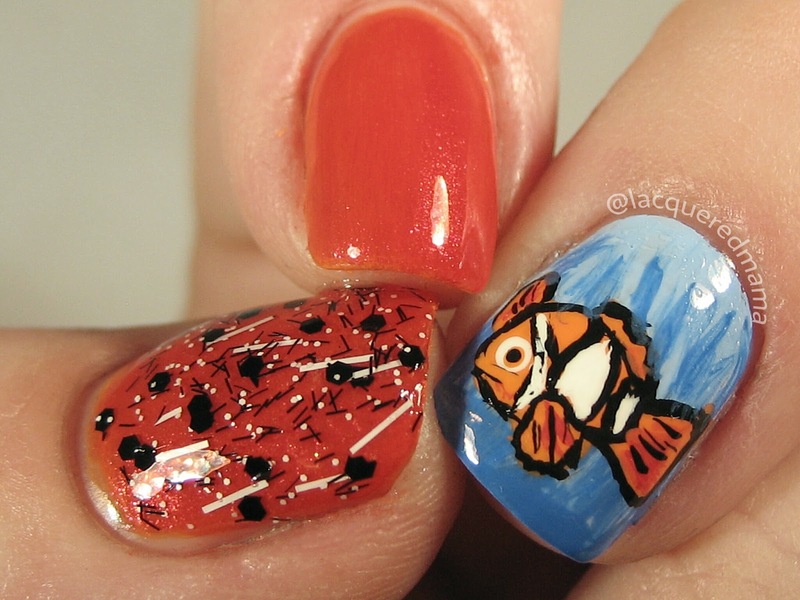 The remaining 2 from the Childhood Wonderment Collection were inspired by the movie Finding Nemo. First up is Discover the Destination. 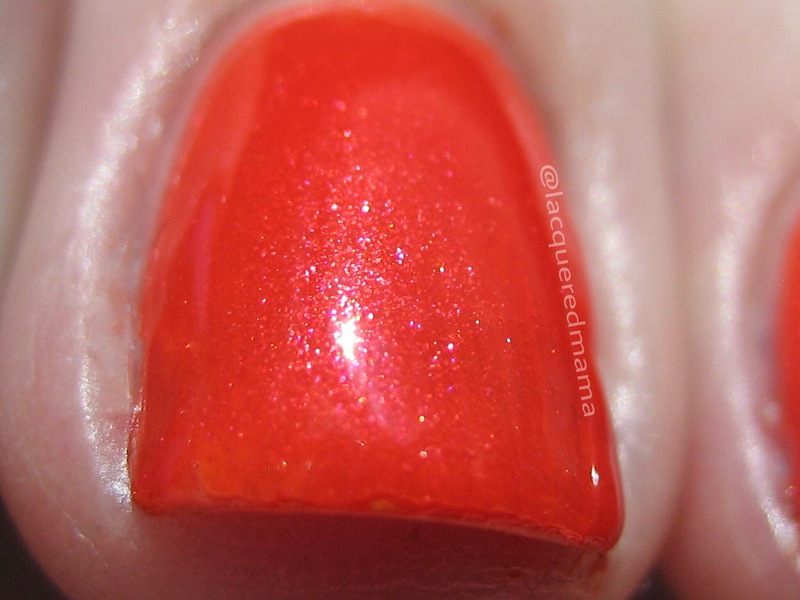 This one is a really vibrant, deep orange with almost a pink gleam to it that sparkles in sunlight. Beautiful color! 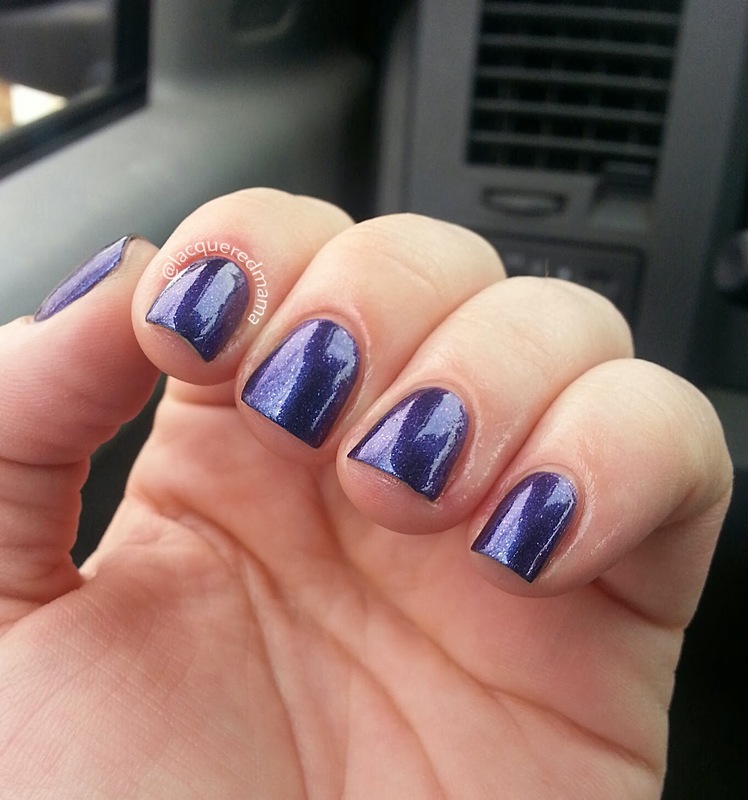 Also jelly like, this one was a slightly thicker formula. Keep in mind, thicker does not mean goopy. Big difference. While this was thick, it still went on easily. This one took a third coat to be completely opaque, but again, it dried rather quickly. 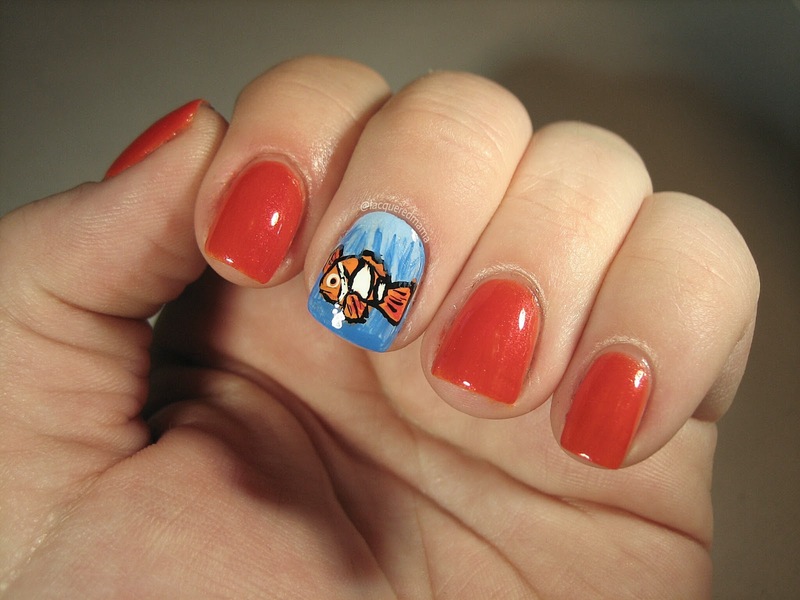 Lastly, also inspired by Finding Nemo, I have Embrace the Journey. 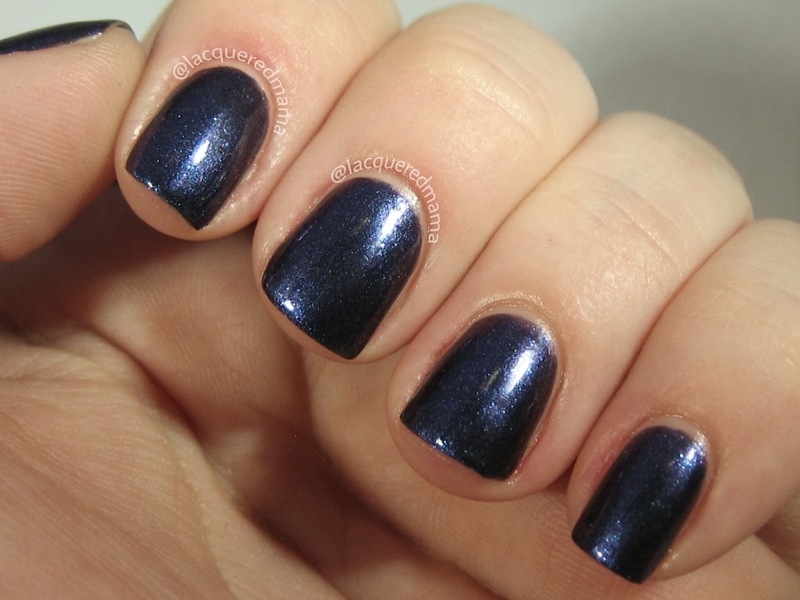 In all honesty, when I first saw this one I thought, "oh great...bar glitter", but once I put it on, I fell in love. 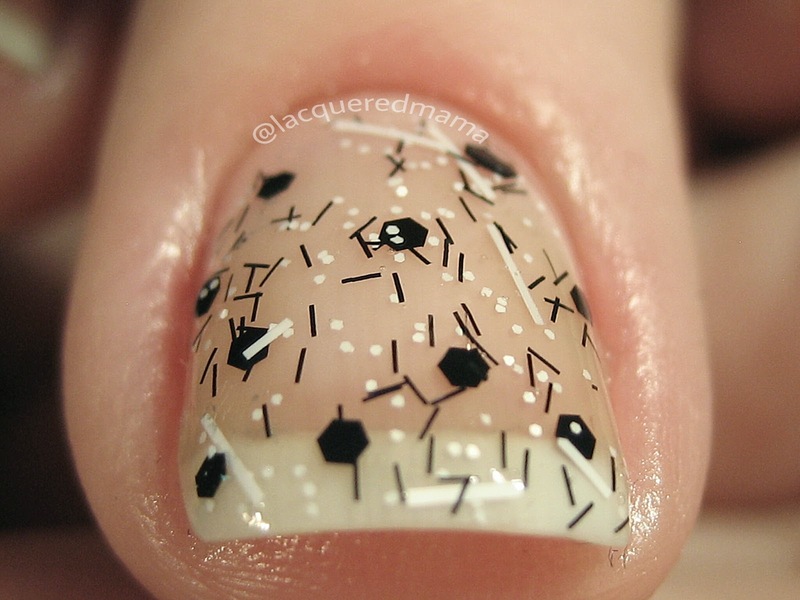 This is a glitter topper in a clear base and packed with black and white glitters of various shapes and sizes. It went on totally even without fishing or or having to place any glitters. The best part is the bar glitter is noticeable without being overpowering. If you have used bar glitters before, you know what I mean! It looks great over just about any base color too! Overall the polishes I was sent, were absolutely wonderful! Great colors and great formula! There are more colors in collection. 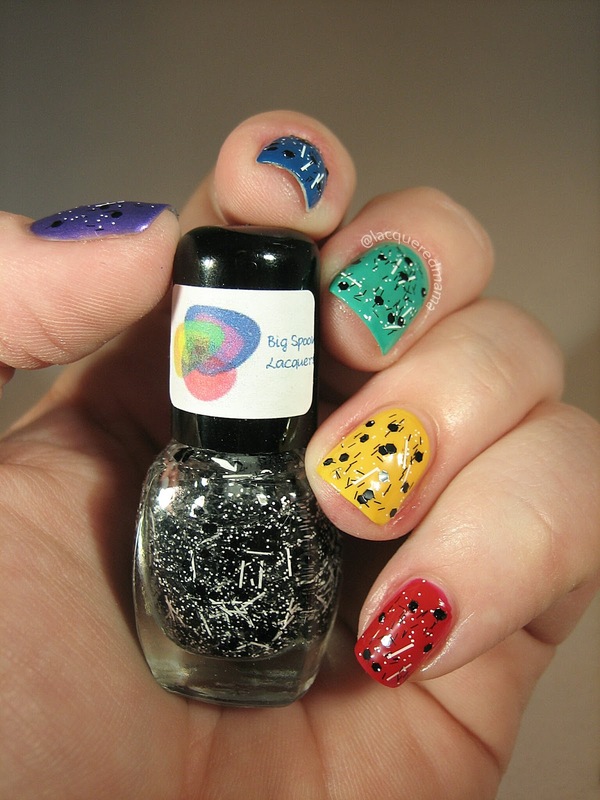 Follow @BigSpoonLacquers on instragram for more information and check out her shop: bigspoonlacquers.bigcartel.com/ . 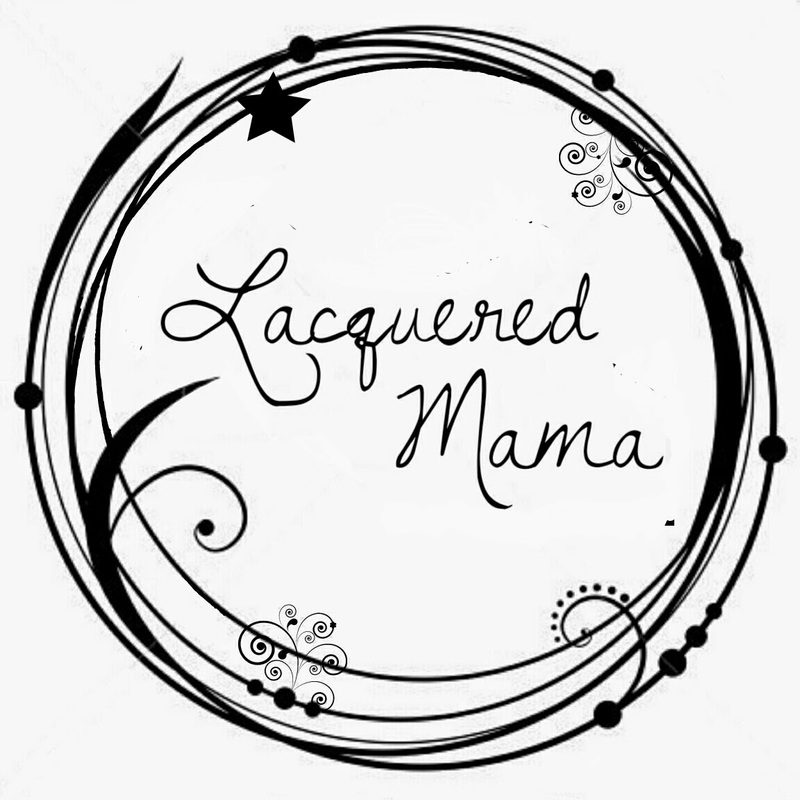 Again the Childhood Wonderment Collection will be released April 1st! !